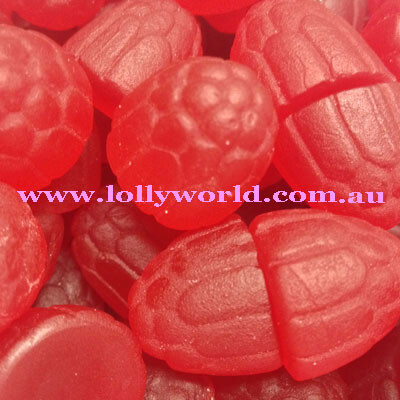 Allens Ripe Raspberries are raspberry flavour jube in the shape of the little fruit. I remember when these came in a white box in the Eighties. They were my mothers favourite. If I ever wanted to get in her good books I would buy her a pack of these.